Draft: 2012, Cleveland Indians, 6th rd. Joey was honored by the Philadelphia Sports Writers Association (PSWA) with its Native Son Award…previous winners include Mike Piazza, the NBA's Kyle Lowry and U.S. women's soccer standout Carli Lloyd…Joey had the chance to sit next to Jayson Stark and talk baseball at the awards dinner...When an MLB Network graphic mistakenly listed Joey's last name as 'Mendle,' he embraced it by making it his Players' Weekend nickname...Manager Kevin Cash is quick to praise Joey's blue-collar approach to the game, saying, "The effort is just tremendous. Every ground ball to the pitcher, every ground ball to first and every ground ball in the gap, he's 100 miles an hour out of the box"...Joey is involved with Fellowship of Christian Athletes and has had many opportunities to speak with younger athletes…he has been involved with FCA since high school...He enjoys deer hunting and spent a lot of "mostly unsuccessful" time in the woods this offseason… his brothers got him interested in it as a way to spend time together and enjoy the outdoors...Joey and his wife, Lindsey, welcomed their first child, Jack Joseph, on May 22 last season...Joey received his bachelor's degree in prephysical therapy at West Chester (Pa.) University and was named first team CoSIDA Academic AllAmerica in 2012…prior to being drafted by the Indians, he planned to attend school for physical therapy and had gone as far as applying to a handful of programs…it's still a goal he'd like to pursue after baseball...Growing up in eastern Pennsylvania, he supported the Phillies and his favorite players were Scott Rolen and Chase Utley...With the Athletics organization, he met Rickey Henderson when the Hall of Famer visited Triple-A Nashville…Rickey joined in the clubhouse card game. In his first season in the Rays organization, led AL rookies with 4.3 Wins Above Replacement (WAR), according to Baseball Reference, ahead of LAA Shohei Ohtani (3.9), which came as a position player (2.7) and pitcher (1.2)...Hit .300, 8th in the AL and 1st among major league rookies…broke Rocco Baldelli's club rookie record .289 avg. in 2003...From July 1 through the end of the season, his .335 avg. (87-for-260) ranked 2nd in the AL behind BOS Mookie Betts (.350)...Also ranked among AL rookie leaders in on-base pct. (.354, 2nd), hits (146, 2nd), doubles (33, 2nd), triples (6, 1st) and stolen bases (16, 2nd)...Voted as the club's Outstanding Rookie by the Tampa Bay Chapter of the BBWAA...Only six other rookies in AL history could match his combination of a .300 avg., 33 2B and 16 SB while qualifying for the batting title: SEA Ichiro Suzuki in 2001, BOS Nomar Garciaparra in 1997, CLE/CWS Minnie Minoso in 1951, DET Barney McCosky in 1939, DET Roy Johnson in 1929 and CLE Shoeless Joe Jackson in 1911…was one of four rookies in major league history to reach those marks while playing most of their games at middle infield, joining Garciaparra, the Kansas City Packers' Duke Kenworthy in 1914 and the Syracuse Stars' Cupid Childs in 1890...Became just the 18th rookie middle infielder (min. 50 pct. of games played there) in AL history to hit .300 and qualify for the batting title…this group includes BOS Dustin Pedroia (2007), BOS Nomar Garciaparra (1997), NYY Derek Jeter (1996) and Hall of Famers NYY Phil Rizzuto (1941) and CLE Joe Sewell (1921)...Played five different defensive positions and started at four: second base (101 games, 85 starts), third base (20 games, 17 starts), left field (16 games, 13 starts), shortstop (10 games, 7 starts) and right field (1 game)…was the first rookie to start at four different positions, hit .300 and qualify for the batting title since STL Albert Pujols in 2001…was the first rookie to appear at five positions, hit .300 and qualify for the batting title since CLE/CWS Minnie Minoso in 1951...At second base, committed only 4 errors in 375 chances for a .989 fielding pct., 2nd among AL second basemen (min. 100 games) behind OAK Jed Lowrie (.992)…according to FanGraphs, was credited with 5 Defensive Runs Saved in 771.1 innings at second base...Hit .335/.392/.485 (91-for-272) with 5 HR and 35 RBI on the road, compared to .256/.306/.372 (55for-215) with 2 HR and 26 RBI at home...Was named the Rays recipient of the Heart and Hustle Award by the Major League Baseball Players Alumni Association (MLBPAA)…the Heart and Hustle Award honors active players who demonstrate a passion for the game of baseball and best embody its values, spirit and traditions…it is also the only award in MLB that is voted on by former players. ® Made his first Opening Day active roster after batting .327/.386/.558 (17-for-52) with 3 2B, 3 3B, 1 HR and 6 RBI in 19 games during spring training…won the Al Lopez Award as the top Rays rookie in spring training...His 24 hits through the end of April tied for 3rd for a rookie in club history, behind Rocco Baldelli (40) in 2003 and Delmon Young (26) in 2007...On April 9 at CWS, hit his first homer as a Ray, coming in the 5th inning off Miguel González, and the third of his career...He and his wife, Lindsay, welcomed a baby boy, Jack Joseph, on May 22…was on the paternity list from May 22-24...On May 29 at OAK, homered off his former team, as he spent three seasons in the Athletics organization and was acquired by the Rays in the offseason…was the middle of back-to-back-toback homers with C.J. Cron and Wilson Ramos in the 3rd inning...On June 9 vs. SEA, started at cleanup for the first time in the majors and first time as a professional since June 11, 2014 with Double-A Akron. Appeared in 8 games with the Athletics following the conclusion of the Triple-A season… hit .308 (4-for-13) with 1 HR and 5 RBI for the Athletics, making 3 starts at second base... On Sep 17 at PHI, hit a 6th-inning grand slam off Edubray Ramos, turning a 3-2 deficit into a 6-3 victory…the grand slam came in the 33rd game of his career, the soonest into a career an Athletics player hit one since Scott Spiezio on April 23, 1997 vs. MIN (29th game)... Was on the Athletics 10-day DL to begin the season with right shoulder soreness... Prior to his call up, spent the entire season with Nashville…appeared in 125 games for the Sounds, including 118 starts (81-2B, 24-3B, 8-DH, 5-SS)... Tied for 3rd in the Pacific Coast League with 12 HBP and tied for 10th with 8 3B... With Nashville, hit .375/.412/.604 (36-for-96) when leading off an inning... Is the Sounds all-time leader in with 102 2B… ranks 4th with 440 hits, 5th with 228 runs, 25 3B and 1,546 AB and 9th with 380 games... Designated for assignment by the Athletics on Dec 7 and traded to the Rays four days later. Spent nearly the entire season at Triple-A Nashville before he was promoted to Oakland Aug. 31… batted .260 with a double, home run and 11 RBI in 28 games in his Major League debut…hit .349 over his first 13 games but then batted .189 over his final 15 contests…made 23 of his 24 starts against right-handed pitchers…hit .247 (20-for-81) against righties, .333 (5-for-15) against lefties…made 16 starts batting leadoff and batted .262 in those games, including .333 with a .375 on-base percentage when leading off the game…had a .323 batting average at night, .147 during the day…hit .324 with runners on base, .220 with the bases empty…went 7-for-23 (.304) with runners in scoring position but was 1-for-11 (.091) with RISP and two outs…had a .300 batting average against a pitcher the first time he saw him in a game, .194 after that…all 28 of his appearances came at second base, including 24 starts…went errorless over his first 22 games but then committed two over his final six contests…finished with a .983 fielding percentage…went 0-for-4 in his ML debut, a start at second base on Aug. 31 at Houston…recorded his first big league hit in his second game, a pinch hit single in the eighth inning on Sept. 2 off Boston's Joe Kelly…collected his first RBI Sept. 5 against Los Angeles (AL)…hit safely in five straight games from Sept. 5 to 10…went 6-for-18 (.333) with five RBI over that stretch…stole the first base of his career Sept. 7 against Los Angeles (AL)…was 4-for-6 and scored three runs Sept. 15 at Kansas City…led off the game with a home run Sept. 17 at Texas off Yu Darvish for his first career home run…had his second career four-hit game Oct. 1 at Seattle…played for Obregon in the Mexican Pacific Winter League following the season and hit .307 with 25 RBI and a .511 slugging percentage in 34 games. Was named to the Pacific Coast League Postseason All-Star Team at second base after batting .289 with 42 doubles, eight triples, 10 home runs and 57 RBI in 137 games with Triple-A Nashville…led the PCL and ranked fourth in all of minor league baseball with 167 hits…tied for second in the PCL and tied for seventh in the minors in doubles…also led the PCL in at bats (577), ranked second in games, third in extra base hits (60) and total bases (255), fifth in triples and tied for seventh in runs (80)…had minor league career highs in games, at bats, runs, hits, doubles, triples, stolen bases (12) and strikeouts (114)… led the A's farm system in hits, doubles, extra base hits and total bases, tied for the lead in triples, ranked fifth in runs and was seventh in batting and slugging (.442)…was batting .257 in 86 games at the AllStar Break…then hit .341 in 51 contests after the break…batted .293 (110-for-376) with eight of his 10 home runs against right-handed pitching compared to .284 (57-for-201) against left-handers…hit .302 with seven of his 10 home runs at home compared to .277 on the road…had a .284 batting average or better in every month except May (.230)…batted .347 in the first inning…went 0-for-13 with four RBI with the bases loaded…appeared exclusively at second base on defense and led PCL second baseman in games (136), total chances (700), putouts (297), assists (387), errors (16) and double plays (90)…had a .977 fielding percentage…also went 1-for-3 (.333) with a double in one game at designated hitter…saw most of his action batting second in the order (127 games)…also hit sixth six times and had one game each hitting first, third and seventh…had 47 multiple hit games. Batted .253 with eight home runs and 50 RBI in 87 games with Double-A Akron in a season shortened due to a stint on the disabled list with a broken hamate bone…went 10-for-22 (.455) on a sixgame rehab assignment with the Indians affiliate in the Arizona Rookie League and combined for a .265 batting average, eight home runs and 54 RBI in 93 games overall…hit .282 against left-handed pitching compared to .257 against right-handers…slugged all eight of his home runs against righties…six of his home runs came on the road and five came with runners on base…went 10-for-51 (.196) with runners in scoring position and two outs but was 5-for-14 (.357) with a grand slam and 16 RBI with the bases loaded…appeared exclusively at second base on defense (85 games), where he committed eight errors for a .983 fielding percentage…while at Akron, he had 280 assists and 73 double plays, both of which led Eastern League second basemen… also went 6-for-24 (.250) in seven games as the designated hitter and was 0-for-2 as a pinch hitter…hit in every spot in the order except first and ninth…saw his most action with 45 games batting third, where he hit just .190…hit .308 with a pair of three-hit games over his first seven games…had a 34-game errorless streak from April 17 to May 28…hit .277 with 20 RBI in 28 games in May…had a season-high 10-game hitting streak from May 4 to 14…went 17-for-40 (.425) with eight runs scored, eight doubles, one triple, two home runs and 11 RBI during the hitting streak… grounded into his fourth and final double play of the season May 4 at Altoona…finished the season with a 64-game, 254-at bat streak without a GIDP…hit a grand slam and collected a season-high four RBI May 5 at Erie…batted .306 over his final 49 games beginning May 23…matched his season high with four RBI May 26 against Reading…collected a season-high four hits June 17 at Reading…homered in back-to-back games June 21 and 22 at Harrisburg…compiled his best batting average in June when he hit .300 with three home runs and 19 RBI in 23 games…was batting .259 with eight home runs and 45 RBI in 76 games when he was placed on the disabled list June 28 with a fractured right hamate bone… was assigned to the Indians affiliate in the Arizona Rookie League Aug. 5 and hit .455 with four multiple hit games on a six-game rehab assignment before he was reinstated from the DL Aug. 18…went 8-for-39 (.205) over his final 11 games with Akron…then hit .400 (4-for-10) with three walks and two RBI in four postseason games for the RubberDucks. Spent the entire season with the Single-A Carolina Mudcats where he hit .295 (122-413) with 32 doubles, 5 triples, 64 RBI and an .885 OPS (.372 OBP/.513 SLG)...Hit 16 home runs which was just one shy of tops in the Indians Minor League system while his .295 average was 3rd-best in the organization...Ranked among Carolina League Leaders in slugging percentage (2nd, .513), extra-base hits (2nd, 53) and total bases (4th, 212)...Named Lou Boudreau Award winner symbolic of the top position player in the Indians system...Hit .426 (20-47) with a 1.104 OPS (.508 OBP/.596 SLG) through the first 14 games of the season before suffering a fractured orbital on April 20 that sidelined him until May 21...At the time of the injury, the left-handed hitting infielder ranked 6th in all of Minor League baseball with a .426 average, and was leading the Carolina League in on-base pct. (.508) and OPS (1.104)...Hit .320 (98-306) off RHP with a .938 OPS...Carolina League Postseason All-Star Team selection batted .311 (19-61) with 7 extra-base hits, 12 RBI and an .863 OPS (.371 OBP/.492 SLG) for Surprise in the Arizona Fall League after the season. Spent first full season at Mahoning Valley where he ranked 3rd in the New York-Penn League in batting (.327) and slugging pct (.469)...Named Indians Minor League Player of the Week for 7/1-8...Named to New York-Penn League All-Star team. April 21, 2019 Tampa Bay Rays activated 2B Joey Wendle from the 10-day injured list. April 1, 2019 Tampa Bay Rays placed 2B Joey Wendle on the 10-day injured list. Left hamstring strain. May 25, 2018 Tampa Bay Rays activated 2B Joey Wendle from the paternity list. May 22, 2018 Tampa Bay Rays placed 2B Joey Wendle on the paternity list. December 11, 2017 Oakland Athletics traded 2B Joey Wendle to Tampa Bay Rays for Player To Be Named Later. December 7, 2017 Oakland Athletics designated 2B Joey Wendle for assignment. September 5, 2017 Oakland Athletics recalled 2B Joey Wendle from Nashville Sounds. April 29, 2017 Oakland Athletics optioned 2B Joey Wendle to Nashville Sounds. April 29, 2017 Oakland Athletics reassigned 2B Joey Wendle to the minor leagues. April 19, 2017 Oakland Athletics sent 2B Joey Wendle on a rehab assignment to Nashville Sounds. April 1, 2017 Oakland Athletics placed 2B Joey Wendle on the 10-day disabled list retroactive to March 30, 2017. Strained right shoulder. November 25, 2016 Yaquis de Obregon placed 2B Joey Wendle on the reserve list. October 11, 2016 2B Joey Wendle assigned to Yaquis de Obregon. August 31, 2016 Oakland Athletics recalled 2B Joey Wendle from Nashville Sounds. March 14, 2016 Oakland Athletics optioned 2B Joey Wendle to Nashville Sounds. November 20, 2015 Oakland Athletics selected the contract of Joey Wendle from Nashville Sounds. April 5, 2015 2B Joey Wendle assigned to Nashville Sounds. December 23, 2014 Oakland Athletics invited non-roster 2B Joey Wendle to spring training. August 19, 2014 Akron RubberDucks activated 2B Joe Wendle from the 7-day disabled list. August 5, 2014 Akron RubberDucks sent 2B Joe Wendle on a rehab assignment to AZL Indians. June 28, 2014 Akron RubberDucks placed 2B Joe Wendle on the 7-day disabled list. 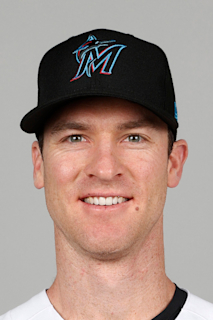 March 31, 2014 2B Joe Wendle assigned to Akron RubberDucks from Carolina Mudcats. January 22, 2014 Joe Wendle assigned to Cleveland Indians. May 21, 2013 Carolina Mudcats activated 2B Joe Wendle from the 7-day disabled list. April 1, 2013 2B Joe Wendle assigned to Carolina Mudcats from Lake County Captains. March 27, 2013 2B Joe Wendle assigned to Cleveland Indians. September 4, 2012 Joe Wendle assigned to Lake County Captains from Mahoning Valley Scrappers. June 16, 2012 Joe Wendle assigned to Mahoning Valley Scrappers from Cleveland Indians. June 6, 2012 Cleveland Indians signed 2B Joe Wendle.